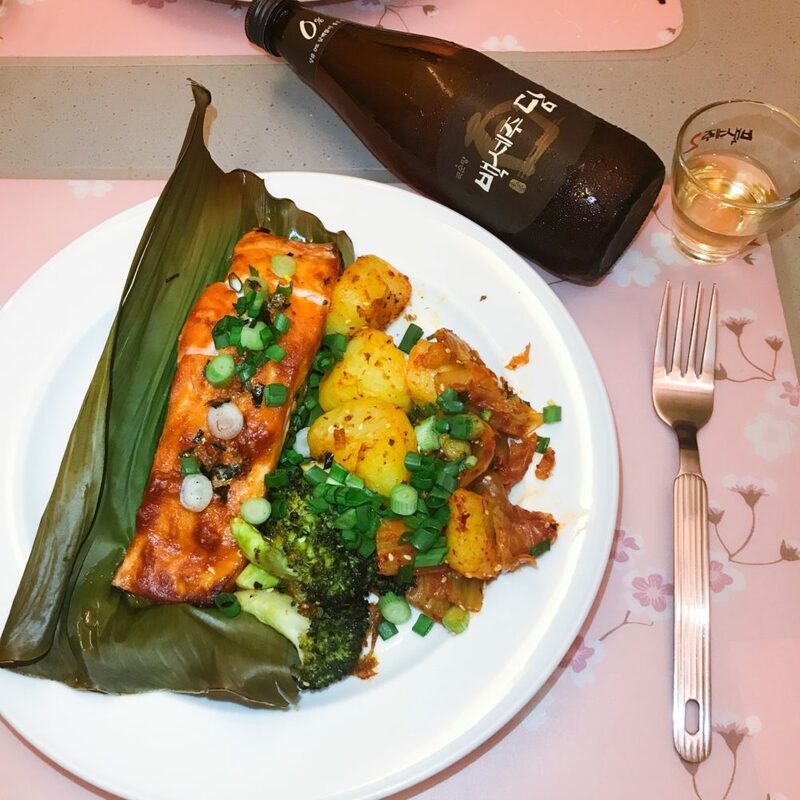 Oven grilled fish on banana leaves, marinate with miso. Try this recipe! mixed all the ingredients above together. rub the sauce on salmon both sides. Cover and marinate for 30 minutes in the fridge. Line a baking tray/dish with 2 pieces of cleaned and DRY banana leafs. 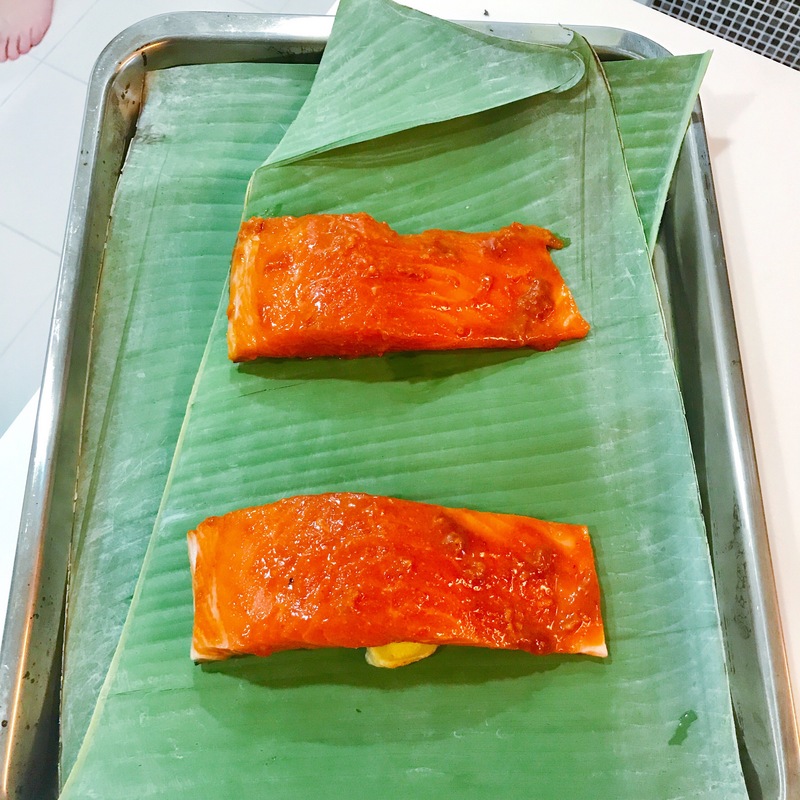 Banana leaves give a nice smoky aroma to the fish. put the pre-marinated fish on top ( skin side down). 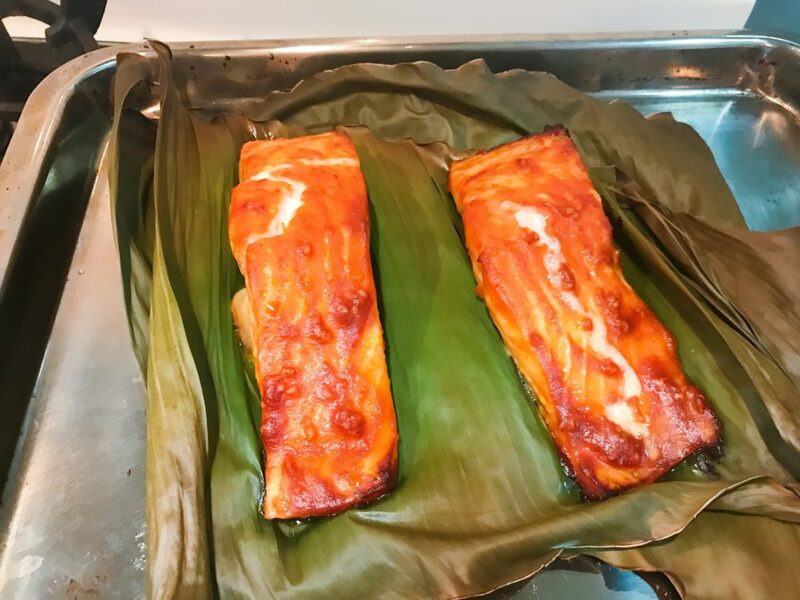 bake for 20-30 minutes depending on the size of your fish. After 30 min in the 180C oven. 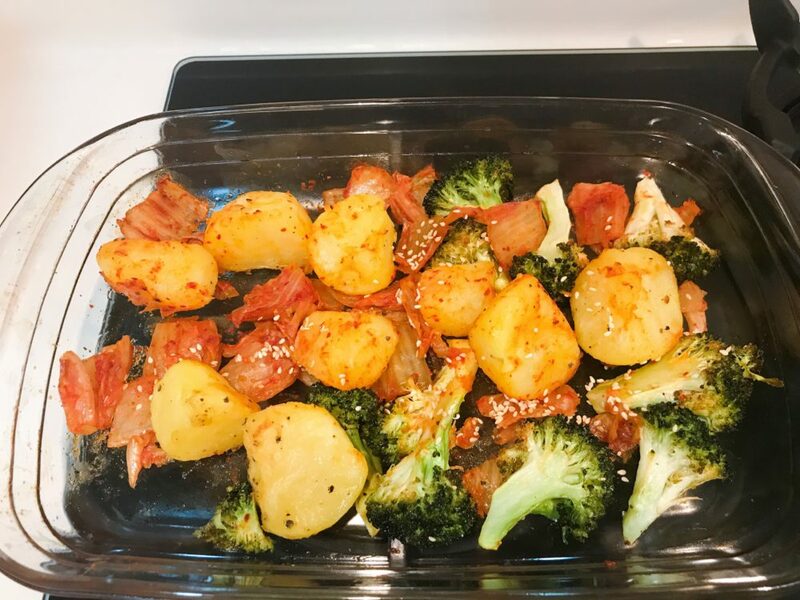 Roast the side dishes in the same oven. Stir in kimchi and sesame seeds in the last 5 minutes. This is inspired by the recent trip to Korea. 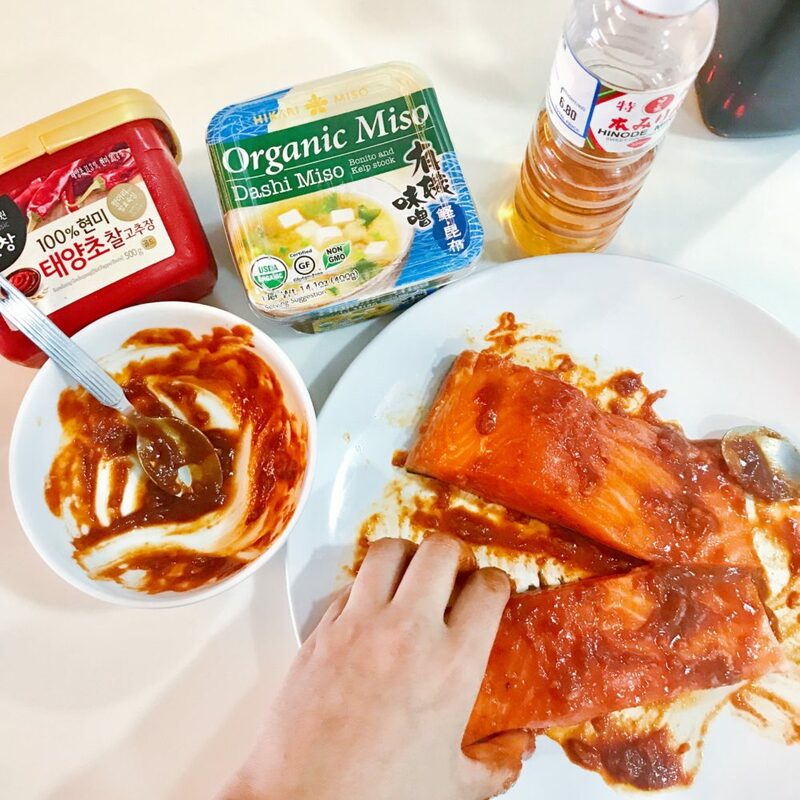 Korean fermented chili paste (Gochujang) is such a healthy and versatile ingredients. I love it ! Please let me know how do you like this recipe. What other ingredients would you cook salmon with?